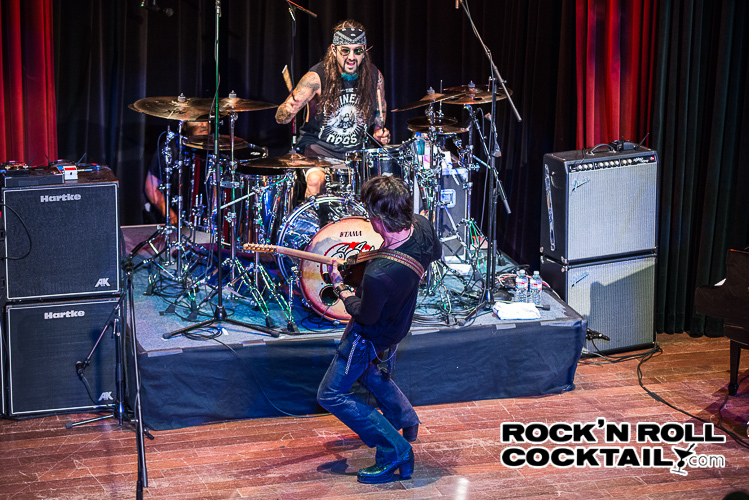 One of the premier guitar aces of our lifetime, Richie Kotzen, has joined forces with drummer extraordinaire Mike Portnoy (Dream Theater) and bass guitar god Billy Sheehan to form The Winery Dogs. You would think that this would be an all-guns blazing musicians geek fest, but it’s quite the opposite. Some of the best songwriting I have heard all year is backed by overly able musicians playing for the songs themselves instead of face-melting solos. 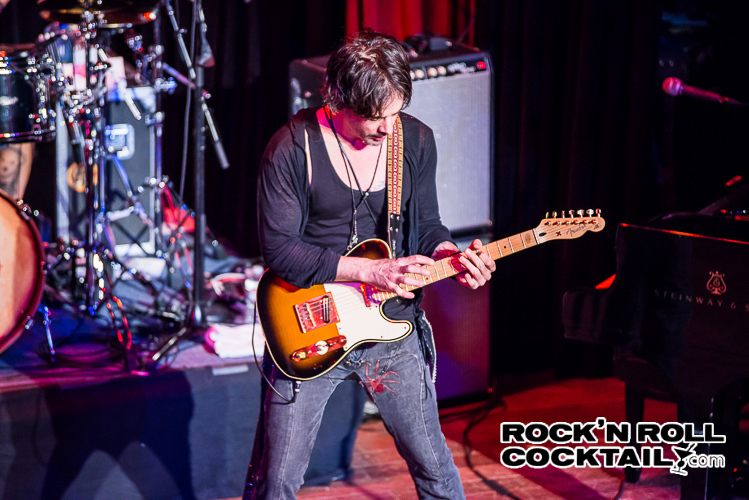 It’s got a bluesy base that falls somewhere between Hendrix and SRV while showcasing an incredibly underrated voice that is all Richie Kotzen. This guy can pretty much do it all, and I am thrilled that The Winery Dogs record is getting so much recognition, and I am sure that it’s going to be on many top year-end lists. 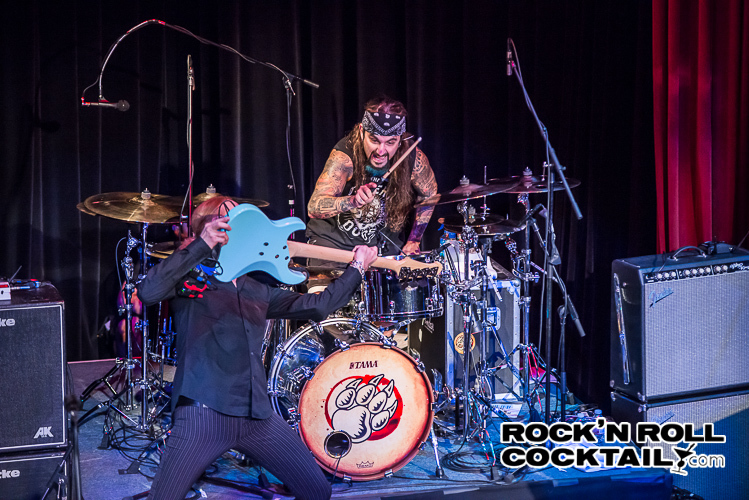 I had one of the most interesting conversations with Richie last month about growing up in Pennsylvania, a near-disaster on That Metal Show, and what it was like when he heard that The Winery Dogs debuted Top 30 on the Billboard 200. Being that you are originally from Pennsylvania, what were you listening to when you were growing up—were you into Cinderella? (Laughing) Yes, only Cinderella specifically over and over—no, wait—and Britny Fox. Actually I love Tom Keifer; I think he’s awesome. But when I was living back there, way before Cinderella, I was really just a fan of the records I heard in my house. My mom was into all the classic rock stuff like, you know, Stones, Beatles, The Who, Janis Joplin….She saw all those acts when they came out to play. My dad was kind of an R&B guy; he listened to Percy Sledge and Stevie Wonder records. So, I was kind of getting hit from both sides, and then once I started writing songs and playing out, I was a rock guy with a love for Soul and R&B. I left there pretty quick, though. I played around in my cover band from the time I was 15 to 17 and then I got signed to a label that was based in San Francisco called Shrapnel Records. I went to San Francisco and made my first record with them, and that was pretty much the beginning of my career. Have you ever met Michael Angelo from Nitro? I met him once in Europe during a festival that I was booked on, and he was there. Nice guy, and I remember him from being in the magazines back then as well. That was a fun time, and everybody had some kind of a gimmick, you know. One guy was tapping, and another guy was speed picking, then another guy with two guitar necks. Do you know if he actually sped up his solos, or could he really pick that fast because that stuff on Nitro was insane. I have—to confess I have never listened to a Nitro record. You were recently on That Metal Show, and Eddie Trunk spoke of you as one of the most underrated guitarists. What was the experience like? Well, first of all, I love Eddie Trunk. He’s been a real good friend to me over the years and very supportive of whatever I’m doing musically. So playing on the show was cool although there was—you’re opening a door for me to talk about something that I been dying to talk about. It’s something that only a guitar player can understand—how horrifying a situation like this can be. I had just come off the road. I was somewhere in Latin America, and I get there, we do a sound check, and I was having a real hell of a time trying to get a sound out of the amp they provided for me. No matter what I tried to play, it wouldn’t work, and any time I tried to play something remotely fast, the notes wouldn’t track. Everything sounded screwed up, and I didn’t know what was going on, so it forced me to play real simple stuff, a couple of chords or whatever. The thing that really messed with my head was that Eddie told me before the show, “make sure you shred, I want you to play some shredding stuff on the show,” and I said cool. So, I go and play, and I can’t play anything fast because the notes won’t track. I didn’t know what happened until after the first break I looked at my guitar, and I see that the pickup had fallen inside the body cavity instead of a quarter of an inch or so away from the strings; it was buried. So, I couldn’t use the bridge pickup at all. It was a total disaster. We did the whole episode that way because I didn’t want to stop and say hey, man, my guitar is screwed. So, I thought whatever, I’ll deal with it, I’ll play some chords and do some wacky stuff. Then on the second episode we shot, which ended up airing first funny enough, I sat there….It took me about 20 minutes to deal with it, and I was able to fix the guitar. So, you’ll notice that I sound like a completely different guitar player between the two episodes. I was so frustrated that happened. It bothered me so much, but I was thinking, you know what, I’m never going to watch it, I’m not going to watch myself, so forget about it. Over the years with 20-plus records under your belt, where is the most usual place you’ve heard your music? The most unusual place I’ve heard my music? I don’t know about that. I can tell you one of the most unusual things that I’ve seen. 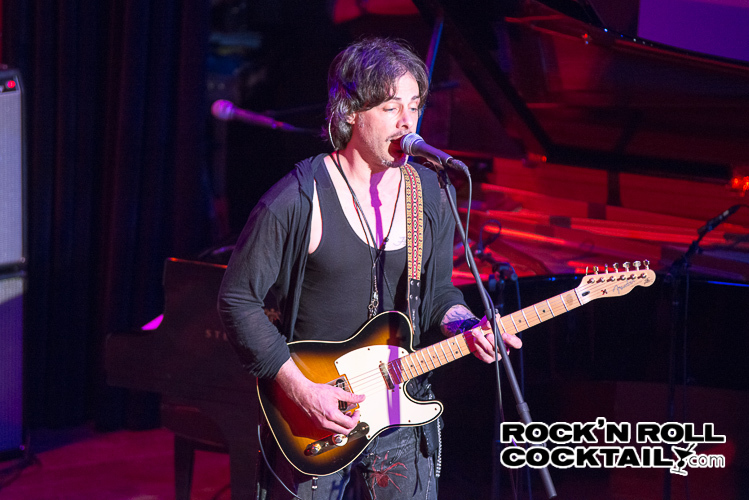 There is a Ritchie Kotzen cover band on YouTube that someone showed me. It’s a couple of Japanese guys, and they were trying to dress up like me and play my songs; that was kind of unusual. I’m, of course, a big fan of yourself, Portnoy, and Billy, so I was astonished to hear how grounded the record is. There’s definitely a bit of Hendrix in there, some SRV, maybe a little King’s X as well. Were you surprised with how well it was received right out of the box? The reviews have all been stellar so far. I did this record thinking it would be a cool thing to do. I really had no expectations; I wasn’t thinking I was going to change the world. I went in and did what I always do, play guitar and sang—wrote some songs. Then we’re on tour in South America, and I get an email saying that we are going to chart on Billboard. I was like, alright, cool, maybe we’ll come in you know, 200. Then we get another email and the album came in Top 30. Then it was on iTunes at No. 2 behind the Rolling Stones. I remember thinking to myself, is this really happening? And of course I’m thrilled, and it’s a great thing, but yeah, I was completely surprised. I had no idea that that was going to happen. The Winery Dogs is such a great band name by the way….Are you guys wine connoisseurs? Well, Mike doesn’t drink, but for Billy and I, a big highlight of a day is when the show is over and we pop open a bottle of wine. Billy likes his Cabernet, and I’m a Shiraz guy….We definitely enjoy our wine for sure. Since recording with Billy and jamming alongside him live, can you confirm that he is indeed human? He is absolutely, and it’s hard to believe. I get to hear him do that bass solo, and every night I’m blown away and just amazed. He’s one of a kind, and it’s not very often a musician comes along that unique. It’s just a great opportunity to be playing with him and Mike as well. Mike’s got a wide vocabulary with what he can do on the drums, so it’s just a lot of fun for me. Richie also mentioned that he saw an email from his record company that mentioned the Winery Dogs will be available on vinyl soon. I look forward to that happening very much. 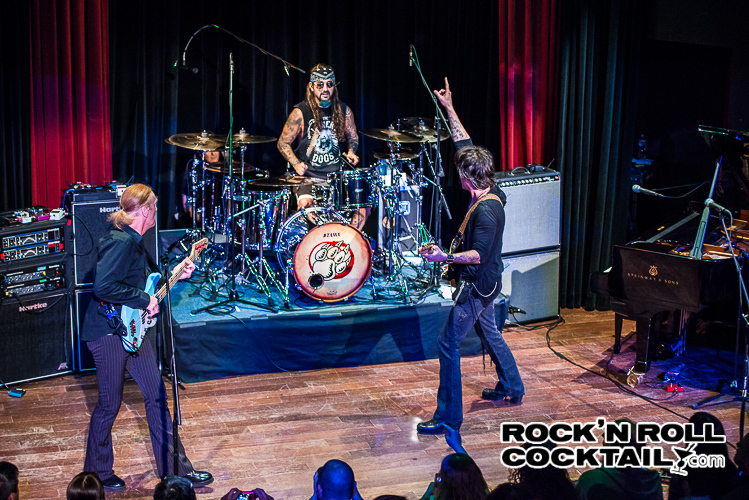 For more pictures from the Winery Dogs show check out the gallery.